Parents usually like to report their child as sick before school starts for the day, often when there’s no-one in yet to pick up the phone. 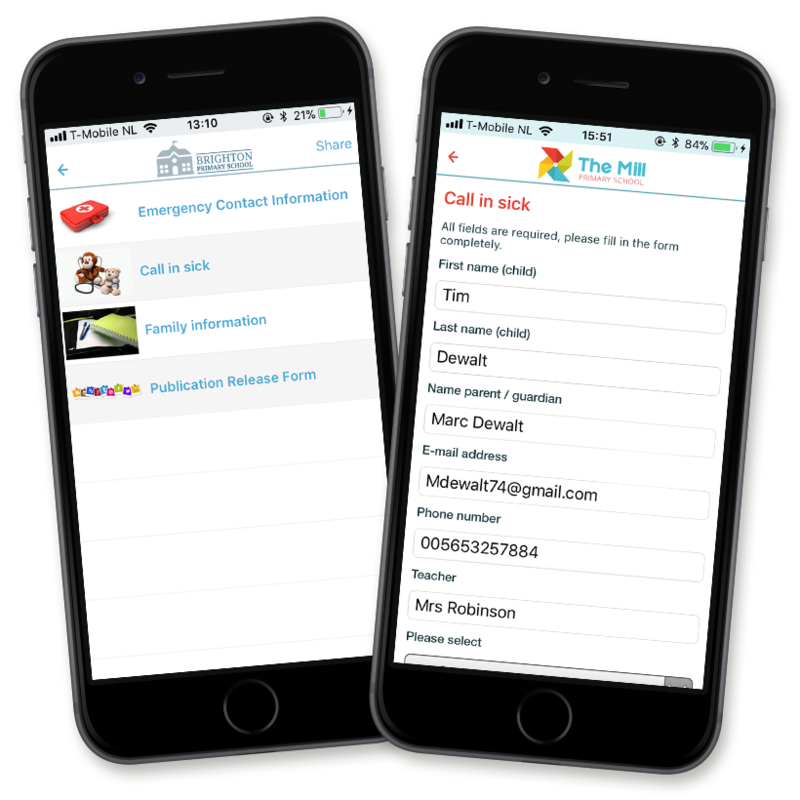 Via the ParentCom app, parents can easily report their child as sick. We have created a special form for this that can be integrated in the app. This simplifies the reporting sick process, for the school and parents. We have also created a special holiday request form. Holiday requests no longer need to be submitted in person, and the requests are always digitally archived. Requesting leave of absence is just as easy.